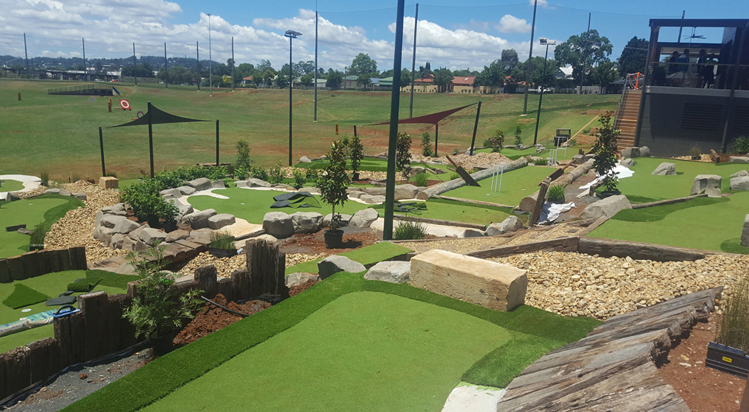 Geoff and Richard have succeeded in capturing everything that is great about real golf and embedding these principles into specialised miniature golf courses. 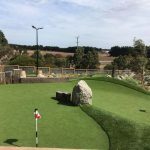 Why Choose Mini Golf Creations? Geoff and Richard have vast experience as golf course superintendents and designers. This, combined with Geoff’s engineering background and Richard’s design expertise, makes Mini Golf Creations the perfect company to design and build you a miniature golf course. Our specialist skill set means that we’re able to do everything in-house. For example, we can produce all technical specifications and detailed drainage plans for your course. What are our courses like to play? There are certainly no novelty objects like clowns and windmills to cheapen the experience. It also means that customers can play our courses many times over and still find new and exciting strategies that will keep them coming back for more. Most 18-hole layouts have multiple flag options—so, effectively, there are 36 or 54 different golf holes within the 1 layout. 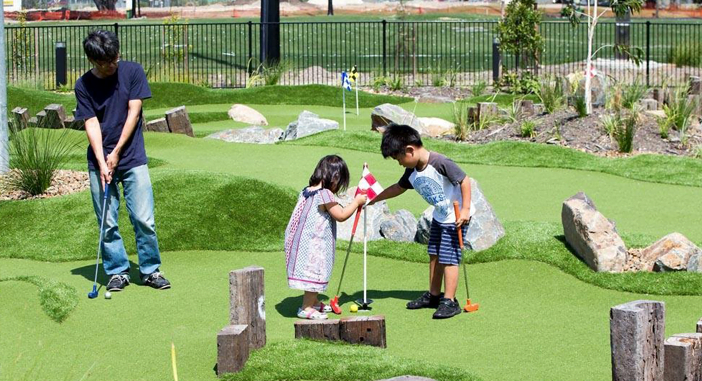 Why build a mini golf course? 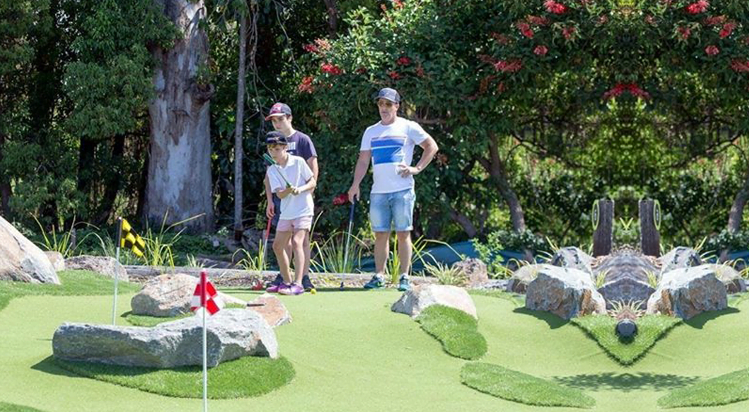 Our miniature golf courses are a great investment option. They generate an extra revenue stream and have the capacity for strong ongoing returns. 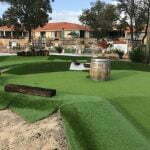 See our latest mini golf courses on our projects page. Or contact us to discuss building a mini golf course for you. We can design and build a course anywhere in the world.